After having some challenges finding a simple way to use a Maxim (previous Dallas) DS9490R USB to 1-Wire/iButton adapter on Ubuntu 18.04 LTS Server (Bionic Beaver) with python-ow I decided to write down my experiences here. I would like to use Python to handle the temperature in order to make good use of the temperature and it’s quite possible to just read this value from the file system. However, I would like to use the python-ow package instead. Could not open the USB bus master. Is there a problem with permissions? import ow should work but you are most likely going to run into the permission issue, as can be seen here after the ow.init(‘u’) command. It is possible to run python as root with sudo python and it will not throw an error if all works correctly. However, it’s a bad idea to run all scripts with root so we need to take care of this issue. What this does is giving the user group plugdev access to the USB adapter. 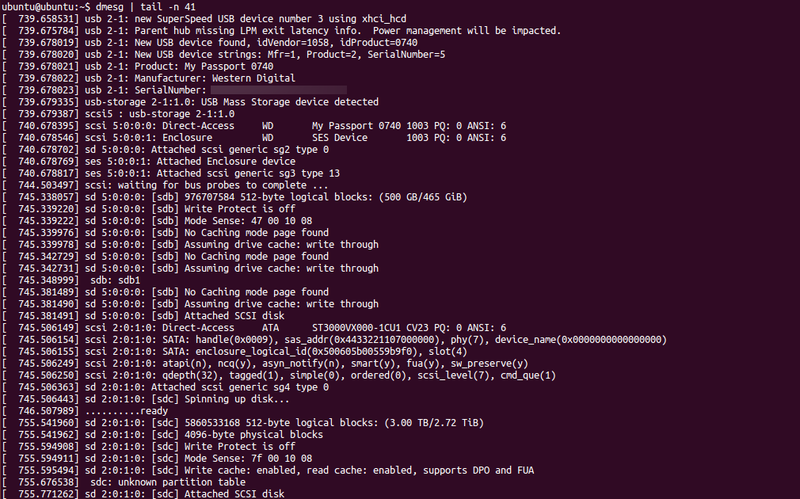 idVendor and idProduct points to the USB device as can be seen with the lsusb command shown earlier. Normal users are members of the plugdev group by default – verify with the groups command. Important: Reboot the OS in order for all changes to take effect. I have had the ASRock Z97 Extreme 6 + Intel Core i7 4790K combination in my workstation for a time and only briefly tried running ESXi 5.5 while testing some network and RAID drivers. Previously I have had great use for VT-d in my server, but since this combo was for my workstation I chose a CPU only based on performance. 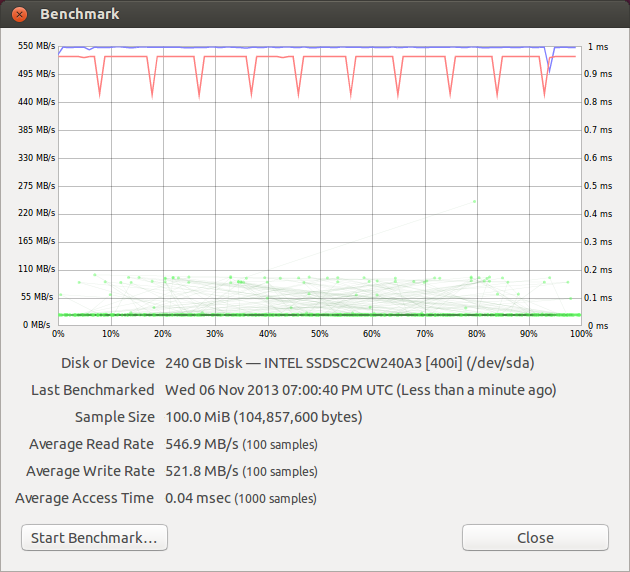 Now, many months later, I stumbled on the fact that this very CPU supports VT-d, in contrast to previous ‘K’ model CPU. 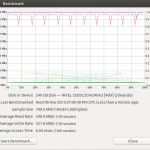 Since VT-d is not widely used, I couldn’t find anyone else that has tested the VT-d support on this hardware, which is why I decided to find out if it does. 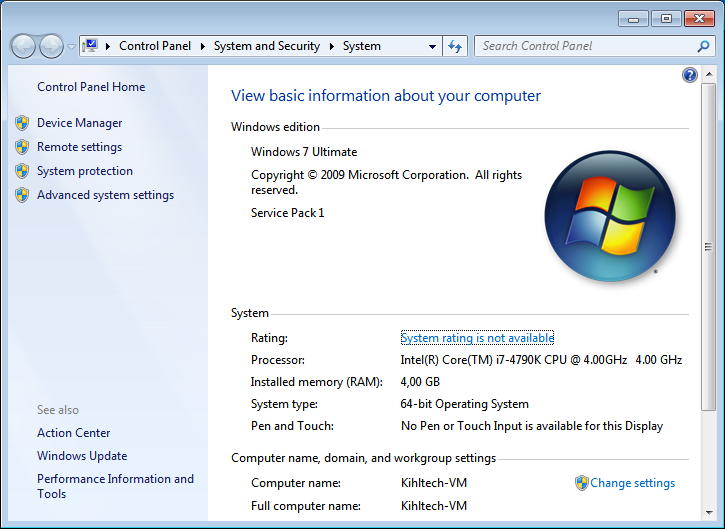 The settings for VT-x and VT-d are hidden under different menus in the UEFI BIOS. VT-x is found under CPU configuration as “Intel Virtualization Technology” and VT-d under Chipset configuration with the same name. VT-x was enabled by default but VT-d was disabled. Here is also a note showing VT-d support or not. 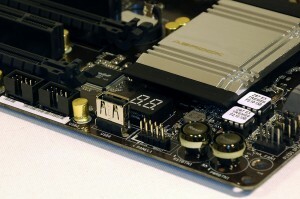 As we can see in the image below, VT-d is supported with this CPU and motherboard. To get support for both of the onboard NICs, please see my other post regarding driver inclusion to an ESXi ISO. I usually install ESXi on a USB thumbdrive to separate the ESXi installation from the datastore. 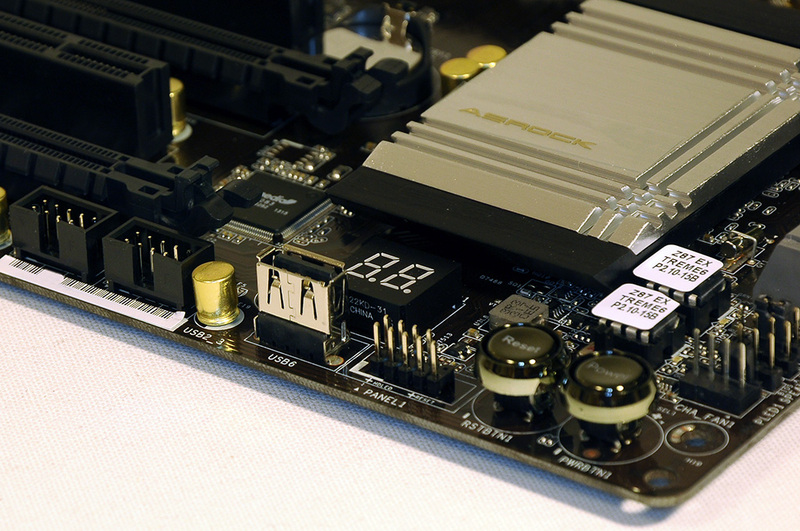 This is made even more easy on some of ASRock’s motherboards since they have an onboard USB header. 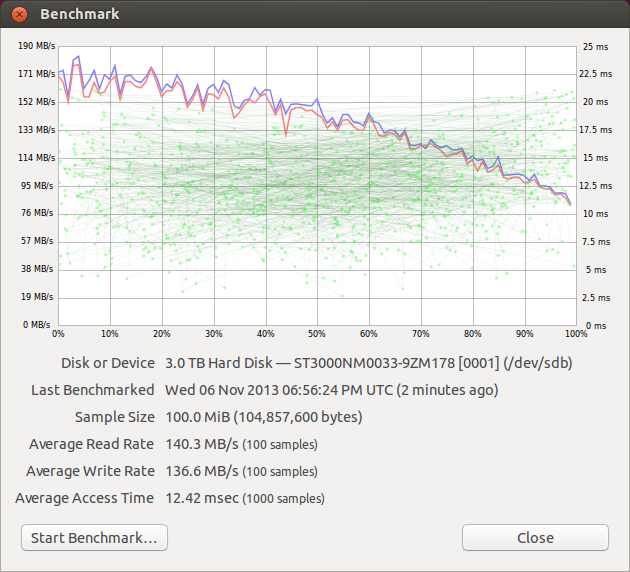 For this simple test, I decided to use a single SSD connected to the onboard SATA controller. Everything was working really well with this combination and it is a welcomed surprise to see Intel enable VT-d for the Devil’s Canyon CPUs. Only the Core i7-4790K was tested at this point but it should be pretty safe to assume that the Core i5-4690K will work as well. Here is a quick post on how to remotely manage an LSI MegaRAID card in an ESXi host with MegaRAID Storage Manager, aka MSM. I have read multiple guides on doing this very simple thing. However, most of the tricks did not work or was not an issue for me. Here is what was needed for me to get it working with this setup. 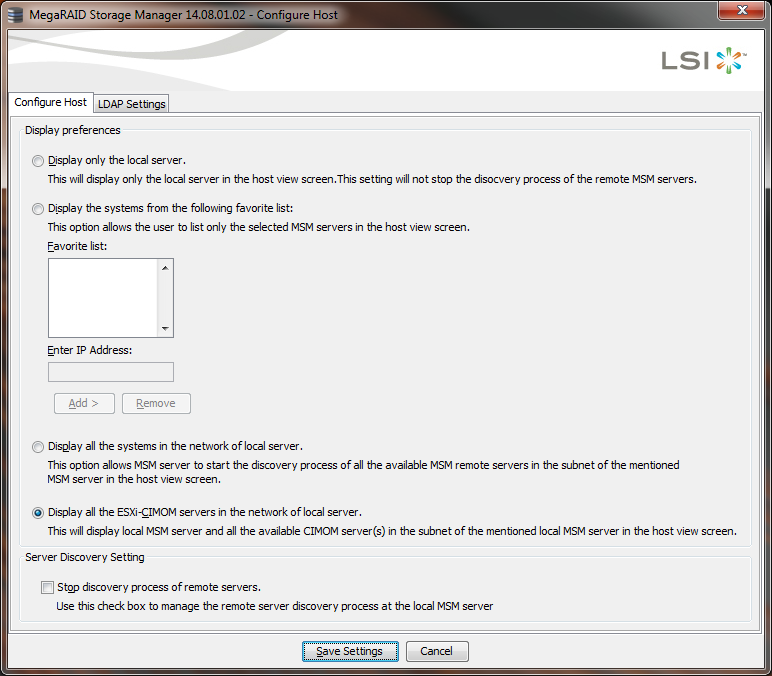 Make sure the LSI SMIS provider is working. Do you get health indications from the RAID card in vSphere? If not; stop here, install it and make sure it is working. Start LSI MSM from the client. Change the search setting to ESXIMON servers, save, and then enter the IP of the local machine (not the host IP) in the search field. Hit search and the host should appear with the correct hostname and IP. I hope this helps the RAID administration! Let me know if you succeed or not in the comments. 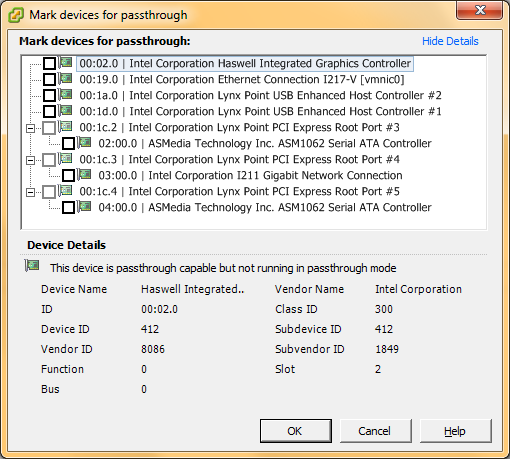 Using new hardware with not-yet supported or unsupported drivers is often required when using consumer grade and/or desktop components. Most of the motherboards I have presented here on this blog (ASRock Z87 Extreme6, ASRock Z77 Pro4-M, Intel DQ77KB, Intel DQ77MK) have had unsupported network controllers. There are ways to add support for a NIC after ESXi has been installed. 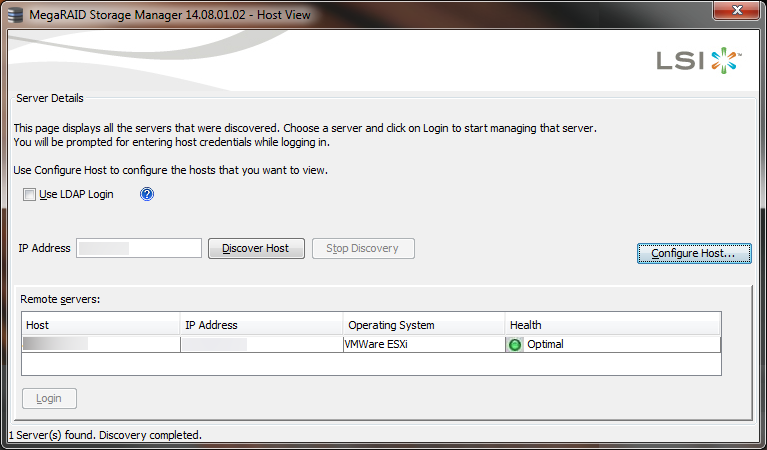 However, to install ESXi from the beginning requires at least one supported network controller. Adding or updating a driver directly in the ESXi ISO solves this issue. – igb-x.x.x.tar.gz driver supports all Intel® 82575/6-, 82580-, I350-, or I210/1-based Gigabit Network Adapters/Connections. 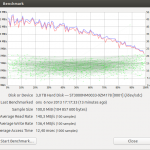 – e1000-x.x.x.tar.gz driver supports all Intel® 8254x-based PCI and PCI-X Gigabit Network Adapters/Connections. Intel® Ethernet Connection I217-V, e1000e driver. 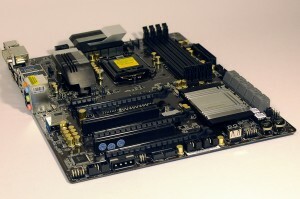 Intel® Ethernet Controller I211 Series, igb driver. Burn the ISO to a disc or make a bootable USB out of it. 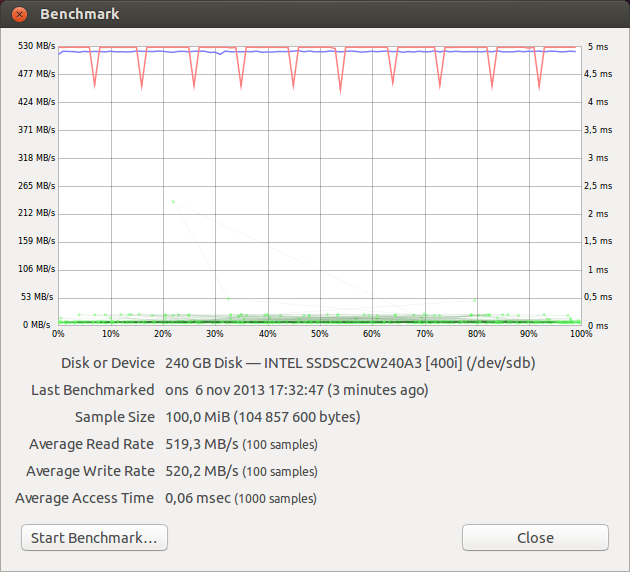 This is what the ESXi-Customizer looks like for me. I hope everything works out. Either way, let me know in the comments below! Below is a summary of the test setup and the results of the tests. 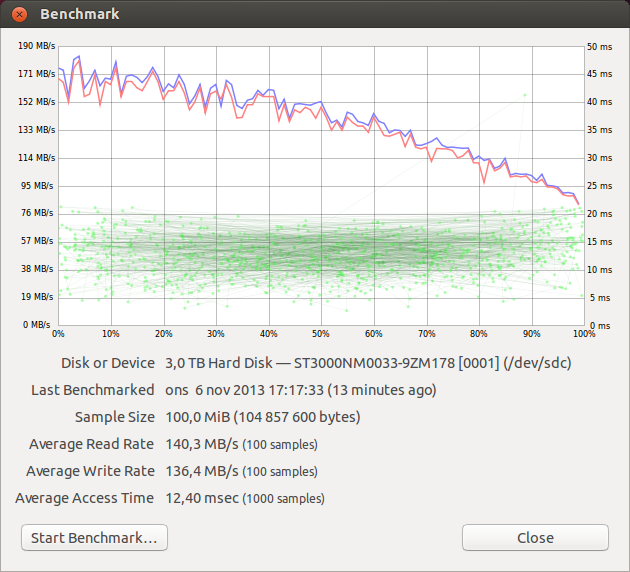 Comparison of the three controllers are done with the simple hard disk benchmark tool in Ubuntu 13.10. 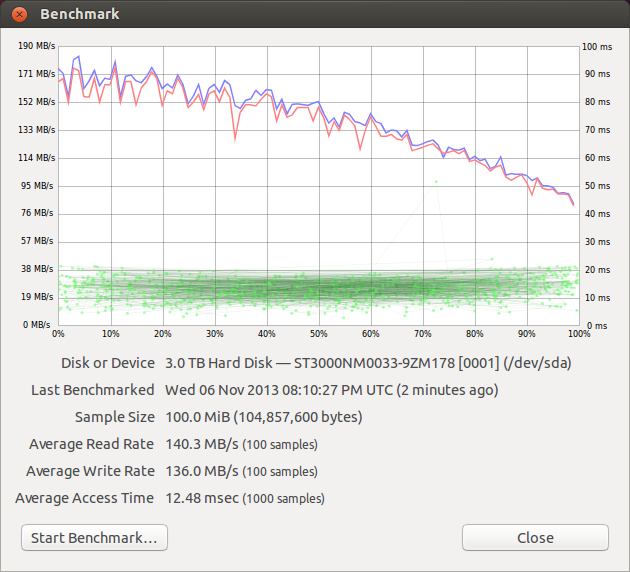 Passthrough performance is measured with ESXi 5.5 installed on a USB memory and the LSI card passed through to a VM. 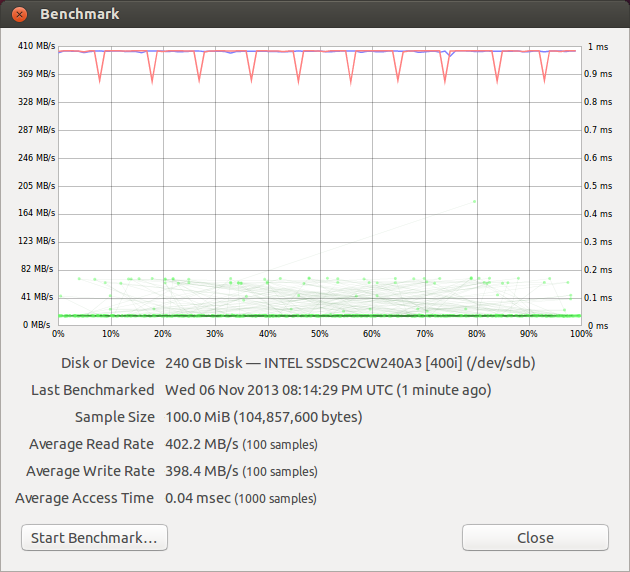 The VM is running the same version as in the above benchmarks, ubuntu 13.10. 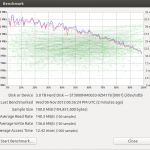 The performance is only run with the LSI card. I really tried getting passthrough working with the ASMedia controller as this would open up to some interesting storage opportunities with this board. However, Ubuntu recognized the controller but did not find any disk attached to it. 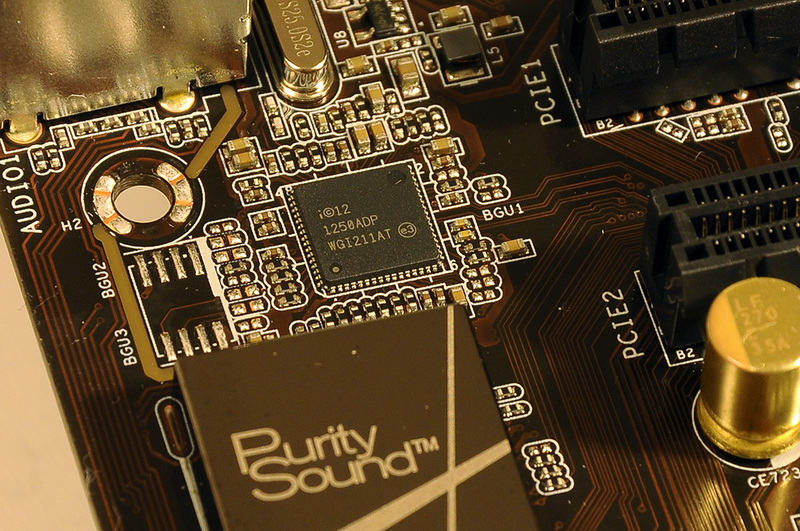 Also, now that I think about it, I have no idea why I did not think about trying to pass through the Z87 controller. 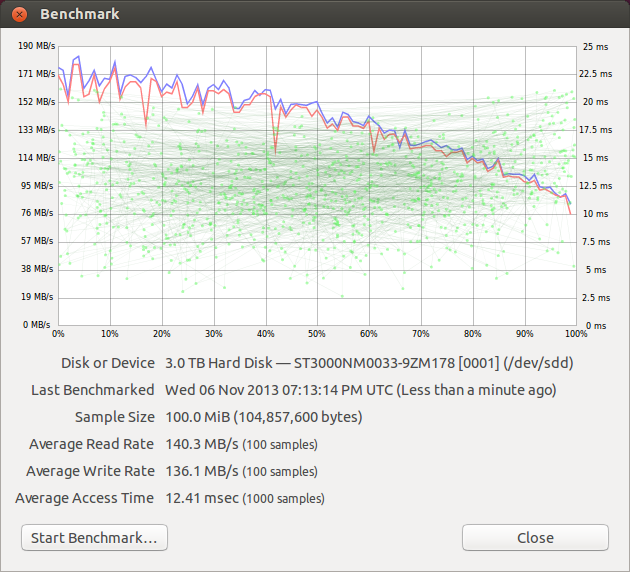 Anyway, here is the comparison, SSD and HDD combined. The ASMedia controller is not capable of handling the performance of modern SSDs. For mechanical drives there is practically no difference between the three different controllers. 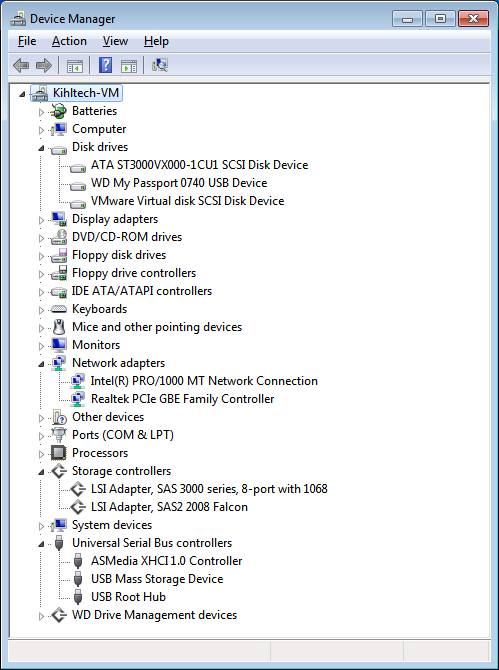 I had an idea of using the Intel controller for the ESXi datastore and pass through the ASMedia controller to a VM. 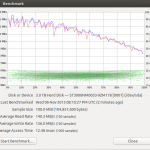 Then it would be possible to setup software RAID for the drives connected to the ASMedia controller. This is a solution working very well for me today with the LSI card, but it would have been nice to have an all-in-one solution. There are some performance impacts on reads when passing through the LSI card to a VM. I have not investigated this further but it might very well be benchmark technical reasons behind it.